Serving Greater Los Angeles, Asphalt Paving Contractor is your ADA Compliant Asphalt Paving and Concrete work specialist contractor for all your needs for parkings and commercial property. Accessible parking spaces shall be at least 96 in (2440 mm) wide. Parking access aisles shall be part of an accessible route to the building or facility entrance and shall comply with two accessible parking spaces may share a common access aisle. Parked vehicle overhangs shall not reduce the clear width of an accessible route. 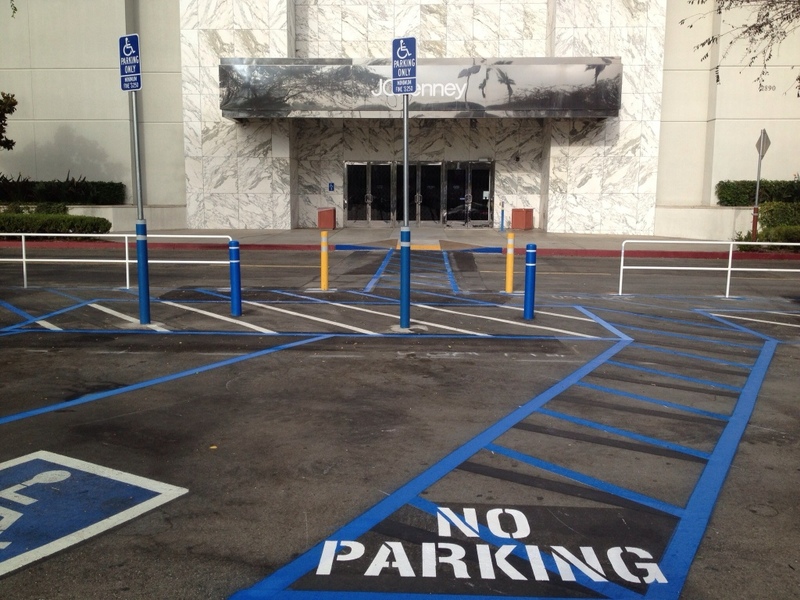 Parking spaces and access aisles shall be level with surface slopes not exceeding 1:50 (2%) in all directions.